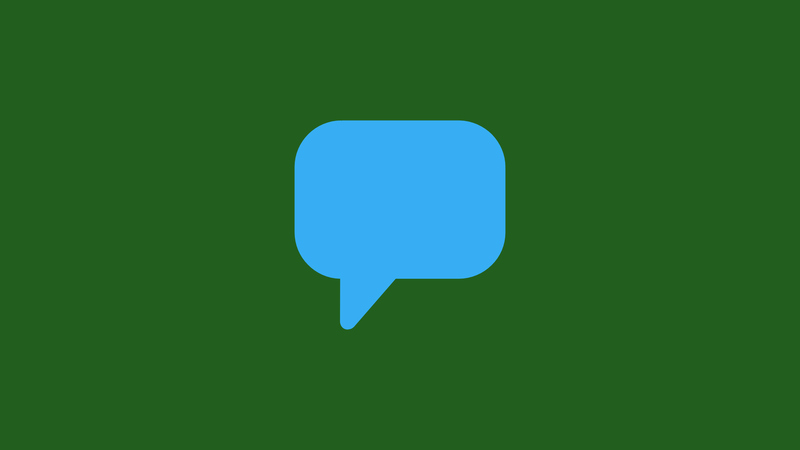 Some of the most popular questions we receive are about the global messing app market – how it’s structured, what are the most important recent changes, and what are the latest Facebook Messenger updates. Here we report on the latest features Facebook Messenger for Android and US. Read on for the most important updates and news, and don’t forget to come back for more information when the next update drops! 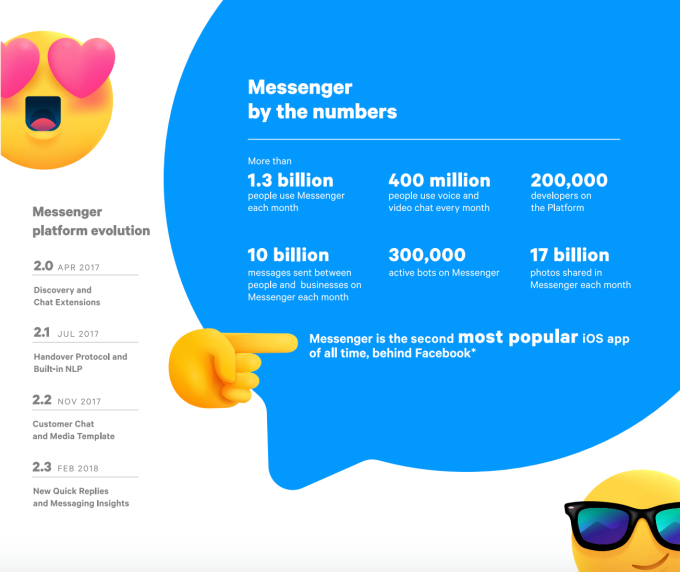 What do these statistics have to do with Facebook Messenger? A lot, actually — with the announcement of the Q3 numbers, we learned that Facebook isn’t only concentrating more and more on messaging, but actually sees itself as a direct competitor to Apple’s iMessage. Tip: On August 1st 2018, WhatsApp rolled out its WhatsApp Business API. 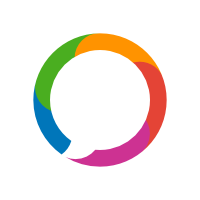 MessengerPeople is delighted with this announcement and the presence of a business-specific version of WhatsApp’s service. With the introduction of a WhatsApp Business API, the company also allows bigger companies the opportunity to contact their customers directly over the app. WhatsApp still doesn’t support advertising, but it is creating more possibilities in the world of messenger customer service. This clear statement about competition in the messaging app market is pretty remarkable. But it makes sense: Apple is also focussing more on the business opportunites for messaging apps. 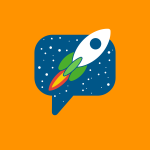 With Apple Business Chat, they created a business variant that more than 1.3 billion iMessage users can take advantage of. In other news: MessengerPeople now offers Apple Business Chat. Facebook Messenger releases Messenger 4. The main focus of the newly designed layout is the idea of coming back to simplicity and unity. Messaging and connecting are the central elements for Facebook. There’s recently been fairly noticeable criticism about the appearance and usability of Facebook Messenger. This update seems to be a response to that. 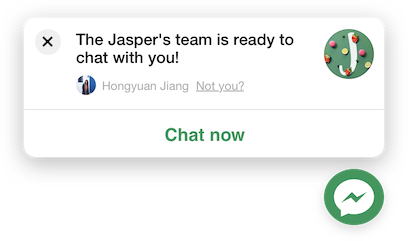 The screenshot (iOS version) shows the clear structure of the chats and the advanced personalization, which uses colors. In the Android version it’s even clearer, what the Messenger Team changed about the Facebook Messenger look. Until yesterday, users had nine different buttons (including home, people, camera, games, discover) and riders (like messages, active, groups, calls) — as well as icons for friends that were online or had stories. Up at the top there was a search bar and the option to post a story. In Facebook Messenger 4, the top of your screen will now always show what section you’re in. And there will only be three possibilities: Chats, People, and Discover, which will all be displayed at the bottom. In the top half, the different stories will be easily visible. They can now receive more attention because they are highlighted much more by the app design. 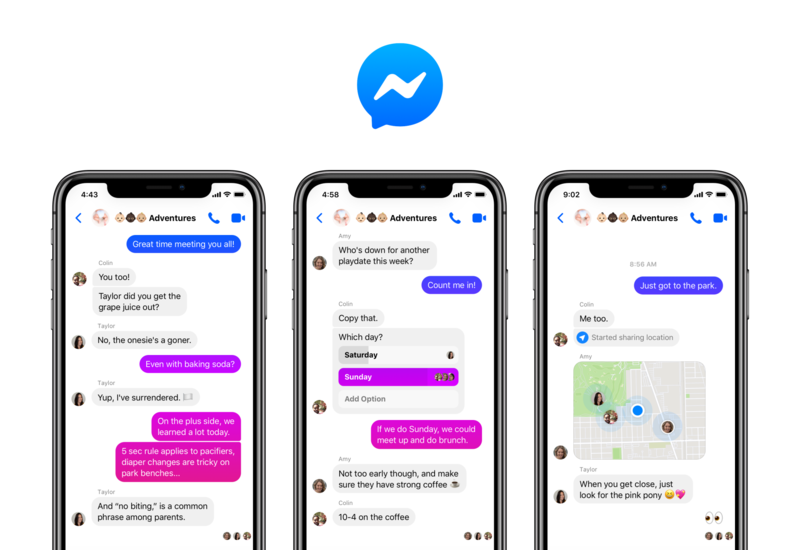 You can consider Facebook Messenger 4 a step “back to basics” like The Verge: “Facebook is rolling out a redesigned Messenger focused on simplicity.” The author claims that now, after years of monetization (ads, games, payment etc. ), Facebook is finally putting the focus back on the user and their family. This ties into the changes that have recently been made to the Facebook newsfeed, which now is showing more posts from users again, and fewer from companies. Facebook Messenger Platform 2.3.: Quick Replies, Customer Chat Plugin Changes, New Metrics in Messaging Insights, and more. Yesterday Facebook annouced that Messenger has now been updated to the new version 2.3! The only real way you can see what exactly has been changed is if you compare it to a non-updated version. Most app providers consider it a matter of common sense to write every two weeks (or in a bit longer intervals) that the apps should be updated to improve the user experience. Whether or not the changes make a big difference is a matter of opinion. But let’s get to the facts. What’s new here? “Page-level Subscription Messaging: Access to send non-promotional subscription messages must now be applied for at the Page-level. Bots may continue to send subscription messages with the app-level permission until Dec 31, 2018, but Page admins that wish to continue sending subscription messages should apply for the new Page-level access as soon as possible. Now Canadian messenger users cann also use the Discover Tab via iOS. As a reminder: Facebook introduced this feature at the lastest F8 conference, to increase the visibility and “findability” of Chatbots. In the mean time, various different categories have appeared. Bot developers can sign their Bots up to be featured in the discover tab. That is, as long as the roll-out has already happened in their country, which seems to be taking quite a while. Facebook has simplified the process of adding users to an Audio/Video-Chat in Messenger. Up until now, to switch from “One to One Chat” to “One to Many Chat” you had to start a new chat, or use an older group chat. This new easy feature lets you add various other users to a one to one chat. If you’re in a video chat, you can access this possibility by simply tapping on the screen. This change makes it easier for users to communicate over the platform and thus easily raises interaction. 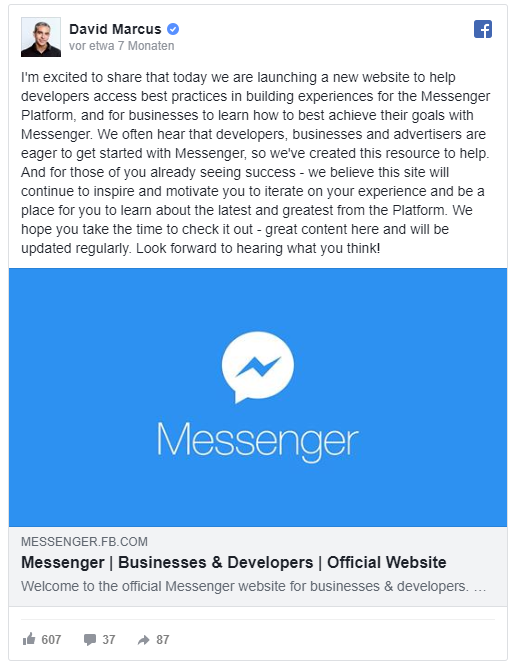 Facebook Messenger has a new website for businesses and developers! The site Facebook Messenger now offers all important information for businesses and developers. Interesting: the writers offer facts about different themes and topics to intrigue users. The head of the Messenger Team, David Marcus, announced the new website on his Facebook page. 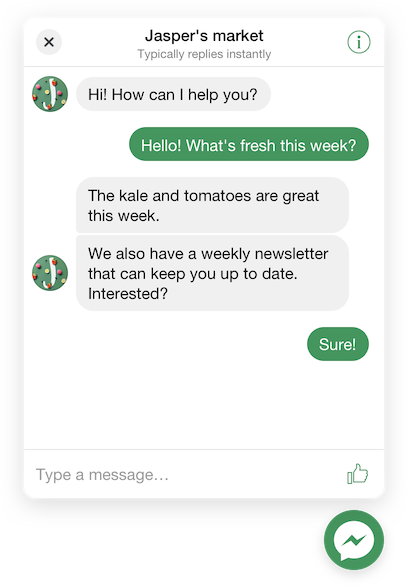 Facebook Messenger Customer Chat Plugin can now be customized to fit your Corporate Design! 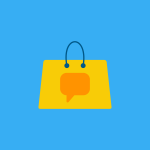 Facebook Messenger offers a Plugin for Customer Chat(inzwischen Public Beta), which supports companies in customer service and support. Now Facebook has made it possible for the company presence (support, Chatbot etc.) 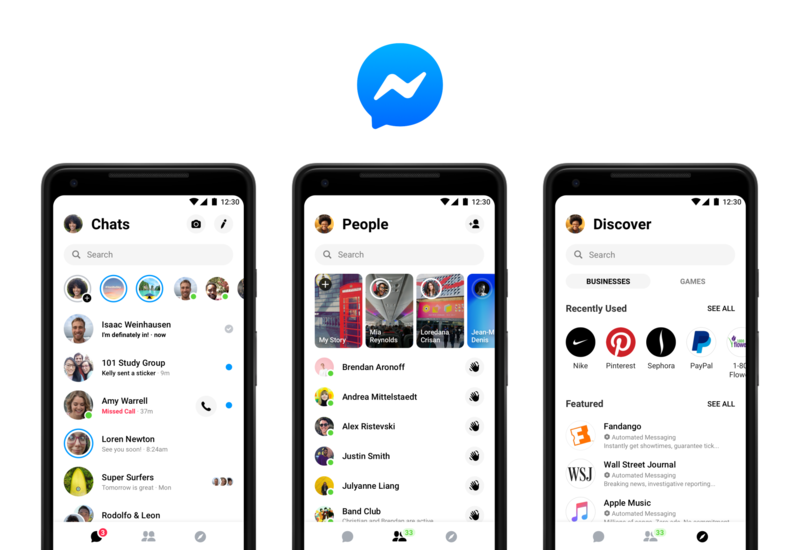 on Facebook Messenger to be more visible because customers and fans can access these features not only directly via Facebook or through an ad in the newsfeed, but also externally. Now the Developer Team has announced that the Plugin is “customizable” . This means that websites which are using the plugins can now customize the visuals to align with the Corporate Identity or brand guidelines. They can change the colors as well as the welcome message. “Payments to friends” via Facebook Messenger is being rolled out for more and morecompanies. It’s been available in the US for a while, and now Facebook is testing the feature in Great Britain. Matt Navarra from The Next Web wrote about this yesterday..